Testing mode is used to test your landing pages. When testing mode is on, results will not be tracked, and any emails triggered by landing page activity will not be sent. 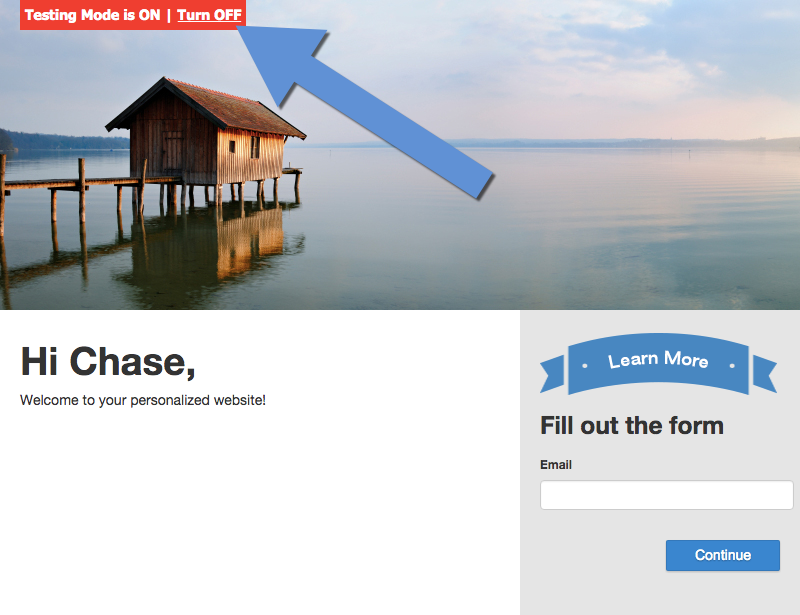 Testing mode will be on automatically any time you visit the landing page from the dashboard. For example: if you click 'View Live Page' in the dashboard, testing mode will be on. If you use the actual PURL (yoursite.com/Jim.Smith), then testing mode will be off. You can turn off testing mode off by simply clicking Turn Off.